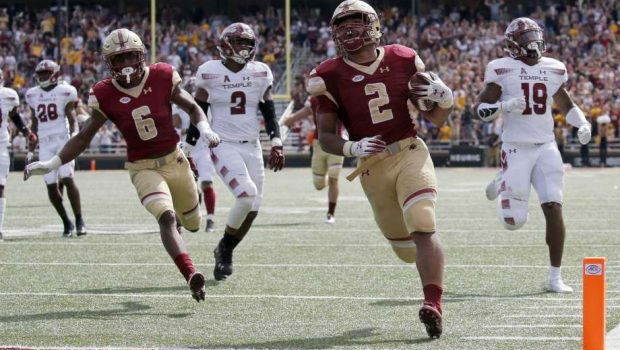 Boston College’s vaunted rushing attack fueled a 45-35 come-from-behind victory over Temple. The Eagles (4-1) picked up a much-needed win after last week’s loss at Purdue ended their first stay in the AP Top 25 poll appearance in a decade. But it came with a cost. All-ACC tailback A.J. Dillon carried 28 times for 161 yards and two touchdowns, but left early in the third quarter with an ankle injury and did not return. Ben Glines took over and rushed 23 times for 120 yards and a score, marking the Eagles’ first game with two 100-yard rushers since November 2017. Ryquell Armstead kept the Owls (2-3) in contention all day, rushing 24 times for 171 yards and four touchdowns. 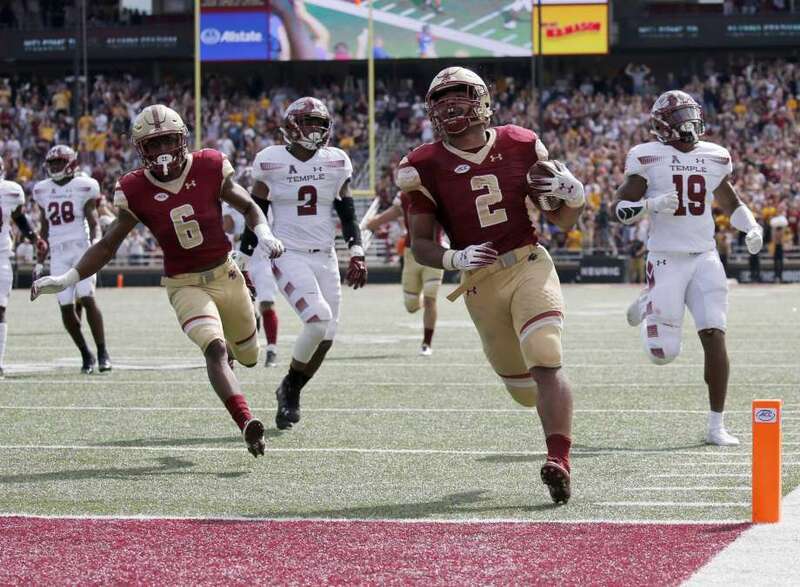 BC also lost All-American safety Lukas Denis to a targeting ejection in the first half, one of three players in the game to get kicked out for such an infraction. The Eagles took their largest lead of the game at 38-21 midway through the third after Smith completed a reverse pass, similar to the famous “Philly Special” play from Super Bowl LII. But Temple closed the gap. A holding penalty set up first and goal and Armstead ran it in from a yard out to close the BC lead to 38-35 with 8:58 left. Temple’s next drive, hamstrung by a Zach Allen sack, stalled at midfield. Glines then capped a clock-bleeding BC drive with a plunge from a yard out on fourth and goal with 3:11 left, making it a two-score game again. Special teams hurt BC early. Temple was called offsides on its kickoff following a 75-yard Armstead touchdown run that tied it at 7-7. The Eagles opted to re-kick, only for Michael Walker to muff the return and allow Isaiah Graham-Mobley to walk in for a 20-yard Owls score, marking the 15th straight game Temple has scored a non-offensive touchdown. Then on the ensuing drive, BC’s John Tessitore missed the game-tying PAT on Anthony Brown’s 16-yard touchdown pass to Jeff Smith. 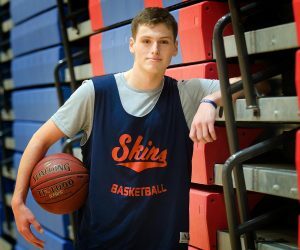 But the Eagles’ offense eventually sprung to life, reeling off 17 straight points to take a 31-21 halftime lead, with Danny Longman following two Dillon rushing scores with a chip-shot field goal. Previous VILLANOVA BLOWS 21-0 LEAD, LOSES AT STONY BROOK 29-27! 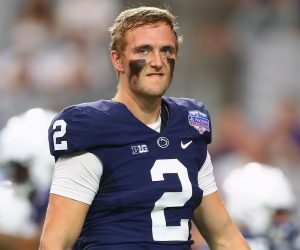 Next HAPPY VALLEY HEARTBREAK: PENN STATE FALLS TO OHIO STATE 27-26!